Blue Planet II has begun airing on the BBC in the UK (look for it early next year on BBC America) and some of the great captured moments are starting to make their way online. If you’re lucky enough to have clownfish in your aquarium, you know they can show signs of intelligence, but this is a level of teamwork we don’t ever get to see. 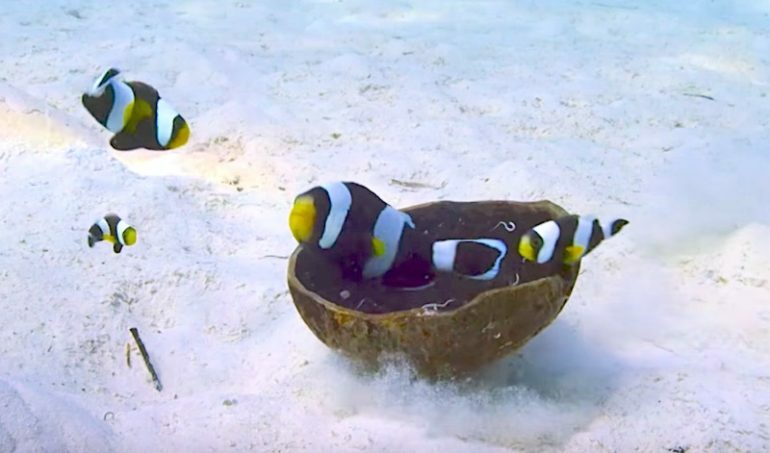 In the video, black saddle clowns work together to move a coconut shell close to their anemone. The shell is a perfect spot to lay their eggs, moving it closer to their anemone affords some level of protection from predators. Pretty amazing!